Cover Crush is a meme hosted by On The Shelf. Gorgeous book covers are spotlighted and new reads are discovered. 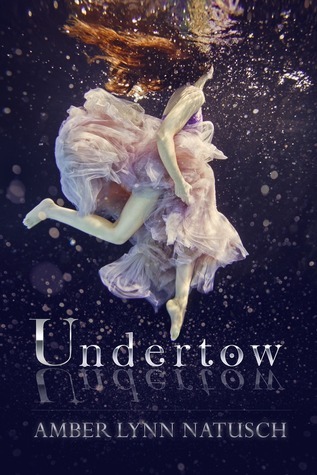 My Cover Crush is Undertow by Amber Lynn Natusch. I find this cover so incredibly beautiful and eye-catching. Purple is a really great color for book covers. Also, underwater photography is something I love to see. The big, bold dress adds to the cover nicely. As much as I adore this cover, I can’t stand the font choices. I feel like the reflection looks weird and that a more script-y or softer font should have been used. Still, I would most certainly pick this book up off the shelf. What do you think? Do you like Undertow’s cover? What cover caught your eye this week?